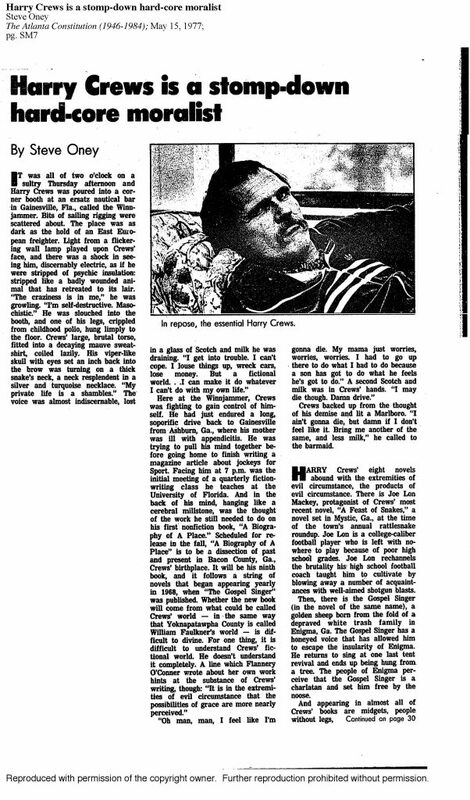 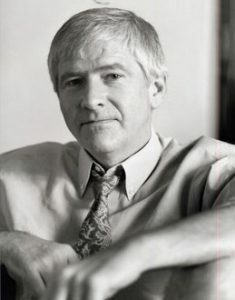 What a fine coincidence that the paperback edition of Blood, Bone, and Marrow: A Biography of Harry Crews by Ted Geltner (foreword by Michael Connelly) releases on the exact same day that, forty years ago, writer Steve Oney's gripping, full-bodied feature of Crews ran in the Atlanta Journal-Constitution. 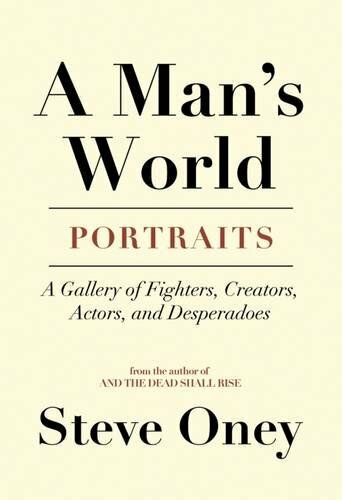 Adding to the synchrony, Steve Oney just published a new book that in fact contains this very article about the macho, unforgettable Crews — A Man's World: Portraits, A Gallery of Fighters, Creators, Actors, and Desperadoes (Mercer University Press; May 2, 2017). 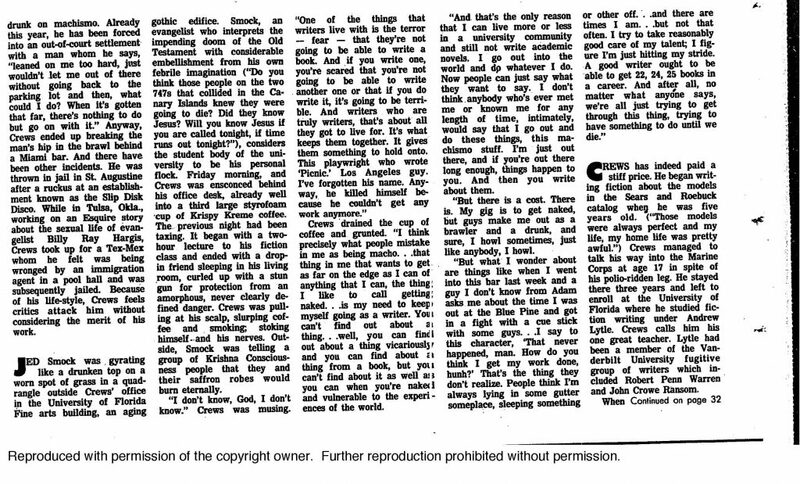 With Oney's permission, we're sharing his classic story here to celebrate the Crewsian conjunction of both books! 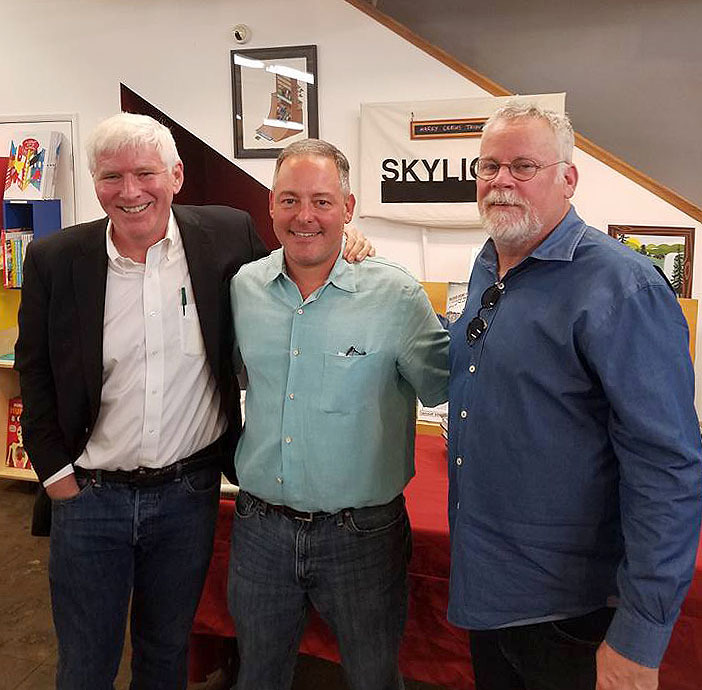 Details about Oney's June bookstore appearance in Athens, GA are below, and be sure not to miss Ted Geltner's paperback launch event at the Margaret Mitchell House next Wednesday.